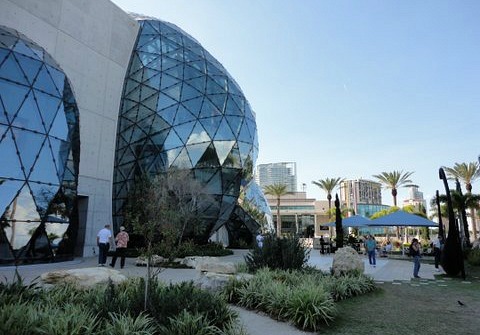 The Salvador Dali Museum in St Petersburg, Florida has a fabulous collection of the artist's works! 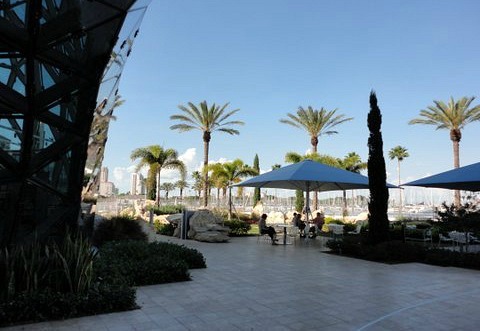 As you venture further out to find interesting things to do in Southwest Florida, you'll be happy to know that the museum only about a 1 3/4 hours drive north from Cape Coral. It's worth the trip, but first, you will be amazed by the Sunshine Skyway Bridge on I-275, which you will take from I-75 over Tampa Bay to get to St Petersburg. It spans over 4 miles and is considered one of the top 10 bridges in the world! From I-275, take I-175 to the museum, which is next to Mahaffey Theater and overlooks the water. A. Reynolds and Eleanor Morse started a collection of Dali works in their Ohio home after seeing a retrospective on him in 1942 at the Cleveland Museum of Art. In 1971, they moved their works to a museum next to an office building they owned. In 1982, they bought a warehouse in St Petersburg and turned it into a museum to house their collection. 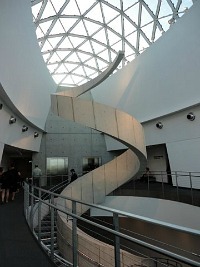 The present location of the museum was designed by HOK architectural firm, and opened on 1/11/11 at 11:11AM. 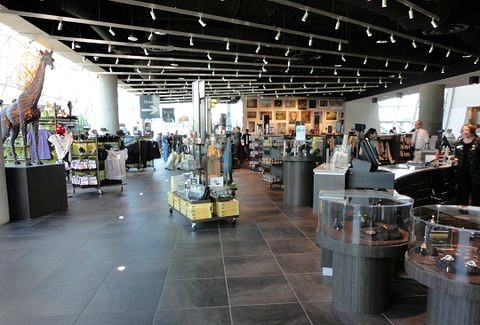 We entered through the gift shop which has something for everyone - clothing, drinking glasses, note cards, puzzles, and so much more - all with Dali's artwork on them. We then proceeded to the center foyer with it's dramatic staircase, inside balconies, and skylight. We went on a Thursday night from 5-8PM and paid $10 per person. Otherwise, it's $15 for students and $21 for adults. The collection is quite impressive, showing Salvador Dali paintings from his earlier works all the way to his later pieces, including several large master works. I do like his early impressionist landscapes and it's interesting to see how Dali's style progresses through time. He claimed that he was not insane, but many of the drawings are disturbing, and most of the paintings are very strange. I liked a few of his later paintings and enjoyed the collection of student's artwork inspired by Dali that was also on display. 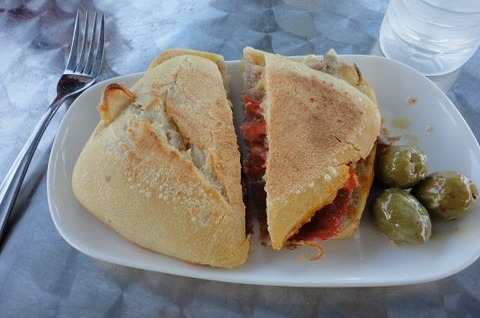 We ate dinner at the cafe which has a limited selection of tapas and Spanish dishes. Portions were small but the food was good. You can sit inside or out. There is a lovely seating area behind the museum with tables and umbrellas, and a little park. 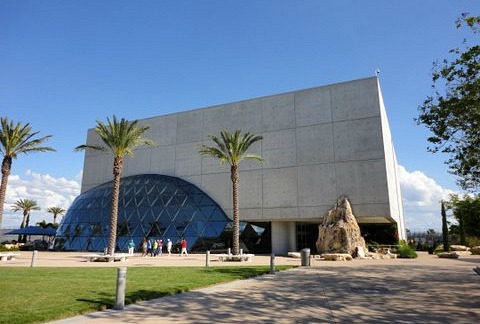 The museum sometimes has live music performances, kids and family programs, film and science series, and yoga classes every Sunday from 11AM-1:30PM.